Charlotte made her debut on June 30th, almost 3 weeks before her due date. This surprised everyone, and forced us to close our facebook fan page contest early. Mom and Baby were both healthy! The winner of our contest was Tia Ferrari, and she will receive a free mini session from us this fall. Congratulations to Tia! 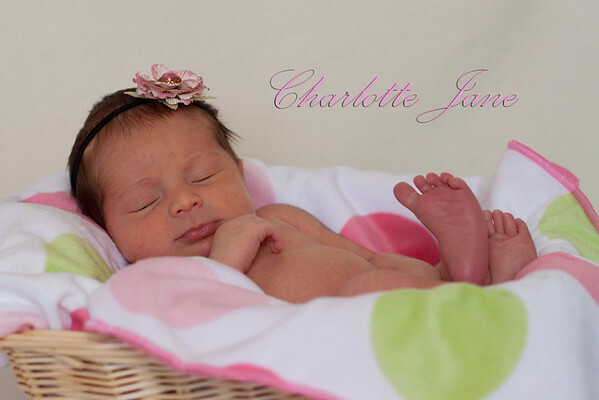 Charlotte's full newborn photo session can be found on our website.